We still don’t know who Drippy Dolphin is exactly. Our staff writer Sam hypothesized that it may be Trippy Turtle AKA Cashmere Cat while our comment section speculated that Drippy could be a collaboration with Wave Racer and DJ Hoodie. 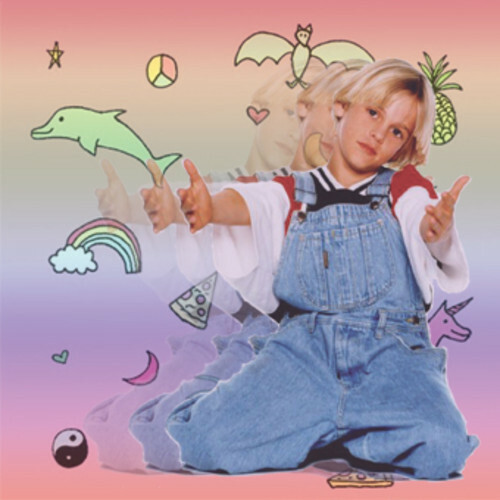 Whoever Drippy Dolphin is exactly doesn’t really matter as he/she/they have just released another chopped-up nineties pop fueled Jersey club track titled ♡-Craaazy-♡. Very similar in tone to Drippy’s first release ♡-Oooops-♡, ♡-Craaazy-♡ features a melange of samples ranging from Aqua’s “Boom Boom Boom Boom” to gun shots and Aaron Carter. It’s frenetic, delightfully saccharine and sounds like the love child of DJ A.M., The Spice Girls, and Hubba Bubba. For more on Drippy Dolphin, follow him/her/whoever on Facebook, Twitter, and SoundCloud.